Give a new twist to your usual hummus by combining it with avocado. 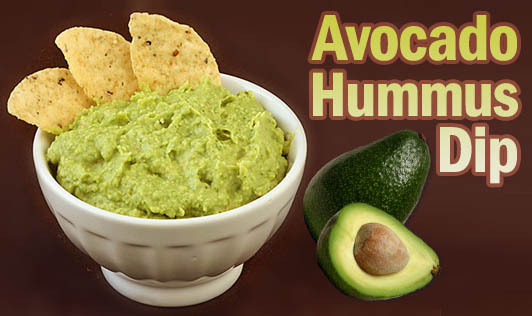 This delicious dip goes well with crackers, pita bread, tortillas, and plain bread. • Pressure cook, the chickpeas on medium flame for 5 to 6 whistles. Drain the excess water, rinse the peas in a colander and keep aside. • Blend the chickpeas, garlic, tahini, cumin, garam masala, yoghurt, and avocado until it turns thick and smooth. • Add lime juice and more salt if required and stir well. • Transfer the hummus into a bowl and refrigerate for 2 to 3 hours. • Serve along with pita bread or crackers.